Marketing strategies come in all sorts of different shapes and sizes. Depending on the scale of your business, the degree of commitment you are asking your clients to make, and the nature of the relationship you are seeking to make with them going forwards, you will have a very different set of options open to you. No one is going to buy a new fleet of executive company cars on the basis of a smash-and-grab guerrilla approach. And in the same way, a lavish, up-market presentation might not be the ideal way to go if you are shipping organic fruit and veg. Common sense goes a long way in marketing. Inevitably, at the top end of the marketing food chain, different agencies will specialise in different areas. And amongst multinationals of the scale of Coca Cola or Ford where there is a requirement to keep a brand vibrant, arresting and recognisable over a long period of time, much of that strategic thinking will be conducted in-house. For those who are just starting out, however, things are a little more rudimentary. There may not be a handy marketing department – or even a suitably inexpensive agency – to do that mental heavy lifting, so the burden will inevitably fall to you. The good news is that with an open mind and a keen eye on what it is that the big boys do it is possible to lay the foundations for a long-term marketing strategy right from the word go. Establishing a brand identity is one of those things that sounds suspiciously easy. We have all seen the stereotypical Hollywood treatment of fashionably slim types describing what sort of an animal their brand might be, or what sort of a story they want to tell. Sadly, the reality of the marketplace tells us that ‘getting it right’ (which is not just a matter of opting for a meerkat or a love story) is far from easy. But with so much business done online, the importance of brand identity and the marketing of that identity are more vital than they have ever been. If the product is intangible, the messaging assumes a huge weight of significance. Even so, the lessons from those giant brands that have become part of our everyday lives are worth paying attention to. Their status in that ‘ubiquitous’ category is the practical evidence of their marketing success. There are plenty of soft drinks out there that are not Coca Cola, but the ‘real thing’ still dominates the market. The Coke marketing thrust is a useful case in point because at every turn, the message that Coke adverts deliver is that the world is a better and a more cheerful place with a Coke involved. 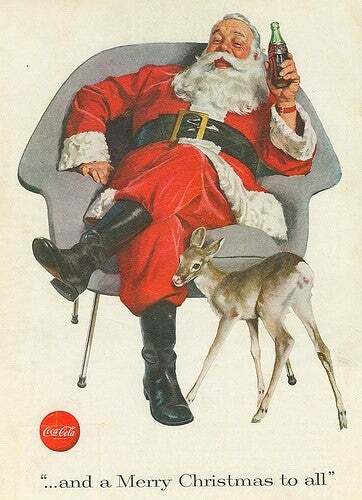 Whether the connotations are of summer sunshine or Christmas holidays, Coke is invariably presented as the fundamentally cheerful ingredient to a social celebration – even if that is something as simple as sharing a cold drink on a hot afternoon. Of course, ubiquitous availability as well as blanket advertising are as much matters of scale as anything else. See how long you can go without seeing a Coca Cola logo in one form or another. But the consistency of the message is striking. Coke is bright, shiny, simple and attached to emotionally positive concepts. That upbeat bounce is less easily achieved if you are selling something that starts with a problematic premise, such as insurance. But the hugely popular ‘meerkat’ branding achieved for comparethemarket.com shows what can be done. In the first instance, marketing is about targeting. Just about everyone likes cold sweet drinks, so Coke’s branding is not only ubiquitous, it is also cheerfully banal. There are no sharp edges to define their point of market address. On a lesser scale, anyone buying the sort of home insurance that comparethemarket.com are selling is likely to be a home owner, and thus by extension a parent. 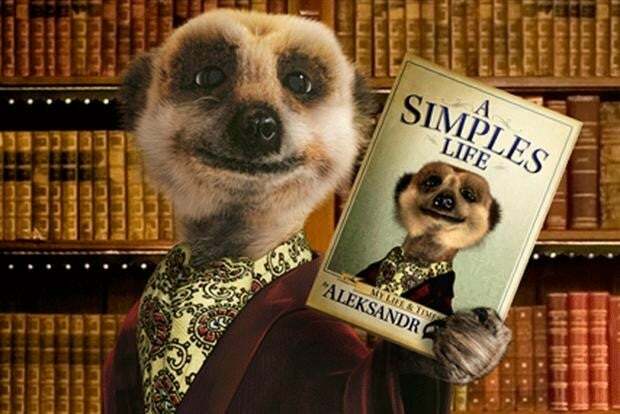 Cuddly toys and the success of the Meerkat Manor TV series with young audiences represent that demographic’s sentimental soft spot to the tune of £200 million. By way of contrast, compare, for example, the more tightly defined market addressed by PokerStars.com, the world’s leading online poker provider. Given that the constituency that PokerStars seeks to address is restricted by age and recreational habits (as well as digital literacy) it is hardly surprising that they do not waste their marketing spend by spreading it around. Instead, their approach – which is entirely in sync with their business model – is targeted solely at those with an interest in poker. Their business was founded on that single track specialism – online poker first, second and last – and that makes for a sharply defined audience, and thus an equally targeted marketing approach. PokerStars concentrates their attention online – since they are an online business – and in contrast to Coca Cola and comparethemarket.com, they spread their message vertically up and down the poker playing community rather than horizontally across the population as a whole. It means that wherever anyone committed to poker looks, they will be exposed to PokerStars’ branding. From sponsorship of the game’s most famous stars and the staging of branded tournaments that bring all levels of the community together, to social media activity, PokerStars is able to address a clearly defined market sector. For example, PokerStars’ sponsored players regularly blog and tweet about their activities. The mobilisation of social media is thus galvanised to generate an ongoing buzz about all things related to poker and to insistently ram home the PokerStars branding. The highly targeted nature of what PokerStars provides represents a compelling offering for anyone looking for online poker. And like coke, the consistency of what they deliver is key to that presentation. At the same time, poker is an activity that appeals strongly to the financial motivation of those involved. It is what the game is fundamentally about. That being the case, it is no surprise that PokerStars regularly tempts new players to join their ranks with introductory offers of bonus cash to play with and extended loyalty bonuses for those already on board. Indeed, one of the impressive aspects of the PokerStars story has been their ability to retain customers once they have made the initial sign up. Marketing is as much about capitalising on repeat business as it is generating new leads. Starbucks and Subway loyalty cards operate on just the same basis. The rationale is simple. Since existing customers cost less to attract than new ones, why should they not receive preferential treatment? It is at that point that the overlap between ‘marketing’ in the traditional sense and the fundamental business activity – the product or service being offered – come to be seen as intrinsically linked. 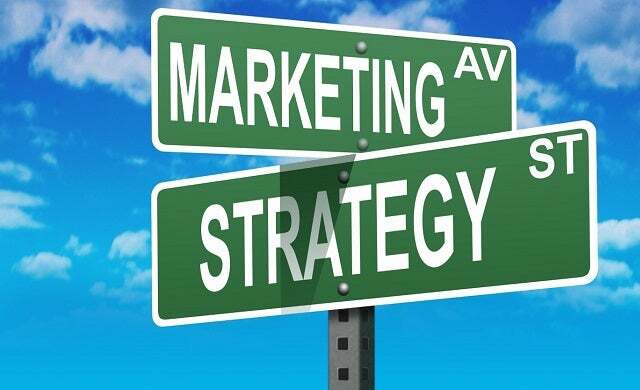 However good its marketing may be, any business can only survive long term if there is some merit to what it offers. If your own customers are not prepared to come back to you or say good things about you, generating your own press is always going to be an uphill struggle. There is no shortage of expensively marketed hotels who are let down by what people say about them on TripAdvisor. Social media is a great way to get your message out there, but it is equally a great way for bad publicity to go viral. Keeping your marketing in line with what the business can actually deliver is as important as getting it known in the first place. Finally, the one strategy that younger businesses radically underuse is to feed stories into the mainstream media. The conventional wisdom is that it is newspapers and local radio stations who decide what is and what is not ‘news’ in any sense. It might help to think of those organisations as small businesses themselves whose raw material is stories to tell (and sell). They are always hungry for a photo opportunity or a news item. It is always worth introducing yourself and firing in snippets on what you are doing to the local press. If you are able to develop a rapport with a local journalist they are quite likely to look to you as an ongoing source of news – always assuming that you manage to come up with the goods the first time around (see above!) It means widespread publicity and an explicit warrant for your business. If it means a free sample to a reporter every now and again, there are much more expensive ways to go about generating the same sort of positive publicity. Some businesses are more reliant on a strong brand image than others. For soft drinks, online poker and insurance comparison websites, the requirement for an instantly recognisable identity is absolute. Those huge, market-leading brands operate at the level of imagined relationships. These are relationships that we share with the brand itself. We are all good friends with Coca Cola, and we all have a soft spot for our kids’ favourite animals. Whilst a young business can get by on the basis of the interpersonal relationships generated by those directly involved, if it is to scale up, it does need to develop a life and an identity of its own. That does not happen by accident, and it will not happen if you do not make it happen. But making it happen is easier than you might imagine. Successful marketing – like so much else in your business – is much more reliant on strategic thinking than it is any inspirational flashes of creativity.